The existence of God: It's one of life's most meaningful and challenging questions. For many of us, diving into this question can be daunting and fraught with challenges to separate fact from fiction for ourselves. But what if we approached this question in the same way a detective might approach investigating a homicide? What if digging into the forensics helped us understand if God left His fingerprints all around this "crime scene" called the universe? Join renowned cold-case detective, author, and speaker J. Warner Wallace in this compelling eight-session video series with facilitator's guide. Determine for yourself if everything we see in the universe can be explained solely from causes found within the natural realm, or if there is evidence of an outside "intruder"-or rather, God. 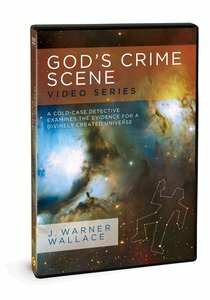 About "God's Crime Scene: A Cold-Case Detective Examines the Evidence For a Divinely Created Universe (Video Series With Facilitator Guide)"
Expected to ship October 2019.